Cyrus Williams, 54 years old, died his home on Terrill street yesterday of dropsy of the heart. 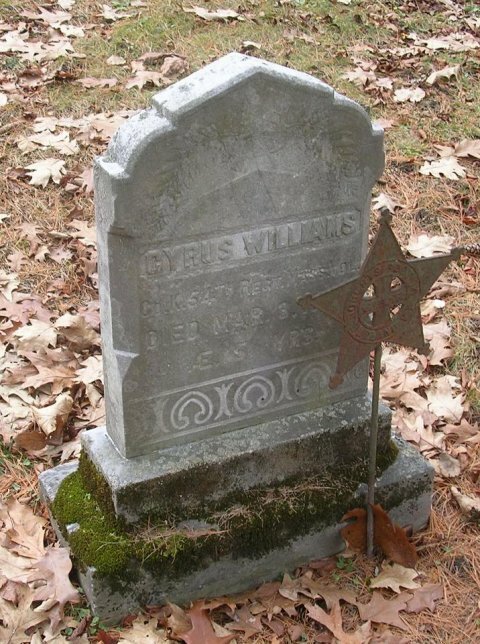 Mr. Williams served in a Massachusetts regiment during the rebellion and was a member of the local Grand Army post. He was the janitor of Trinity church and the Church street school building. A wife, three daughters and one son survive him.